For more information on how this popular report can be used to increase revenue, watch our 5 minute video! Enter your Provider total hours and calculate Fees and Write-offs per hour. This summary takes the details of the many KPI's and presents them on one page. Easily see what percentage of your fees are charged to insurance and what percent of those fees are written off and not collected. 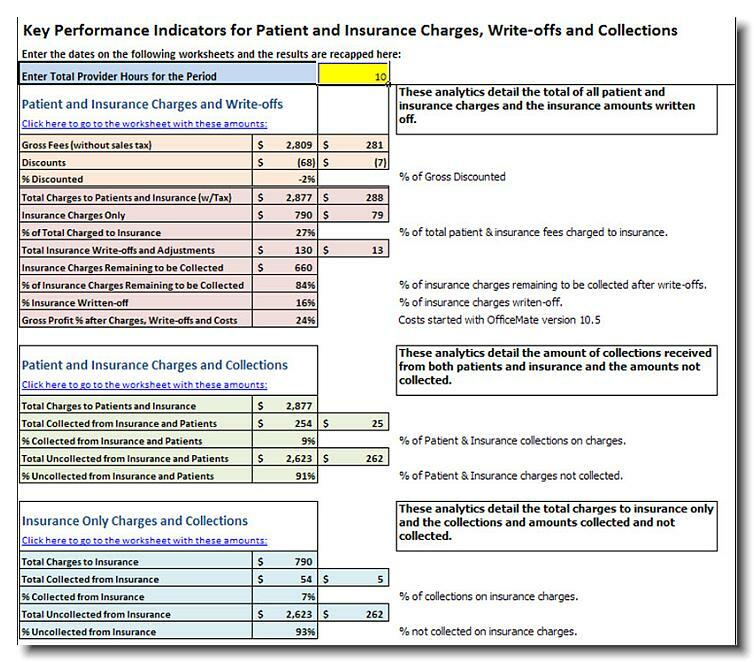 After you select a year or months, this report lists all fee slips that were charged to the insurance company. If the Outstanding balance is not $0.00 then there are still fee slips that have balances due. If they are past the time when they should have been closed by posting payments and/or write-offs, research the fee slip and find out why there is still an open balance. Maybe there are additional monies to be collected. When you sell a frame or lens to patients with insurance and there are product costs and write-offs made, do you know what frames and lenses you are losing money on by selling that frame and/or lens? If you know which ones you are losing money on but still have to sell the frame, maybe instruct your staff to try and steer the patient away from that frame or locate the frames in another area of the dispensary. This eyeReport lists all product sales and shows you the gross profit on the product after fees less write-offs less costs.